It’s been the equivalent of a whole US presidential term since Disney acquired Lucasfilm for a staggering $4.05 billion. “It’s now time for me to pass Star Wars on to a new generation of filmmakers” declared George Lucas as he traded the most iconic properties in film history. Now four years later, the new owners are reaping the rewards from “monetizing the world’s best branded content.” But, to paraphrase Princess Leia, we always knew there was more to this than money. How has Disney fared with managing such an illustrious franchise? Coincidentally, this four year anniversary also runs parallel with the US elections, a period of contemplation for the current administration and a consideration for the future. Business isn’t exactly democratic but it still seems an appropriate time to uncover how Disney has handled its first four-year term in the Lucasfilm office. Before Lucas said “I will go my way, and I’ll let them go their way”, he handpicked his successor, Kathleen Kennedy. Despite accusations of doing more harm than not in recent years, Lucas’ parting decision has been a revelation. A glance at the films she has worked on gives you an idea of her skills and experience (involved with 60 films garnering 120 Oscar Nominations, not too bad). This combination of expertise and Disney’s willingness to place trust in it has already generated results. Both Kennedy and Disney CEO Bob Iger have proved instrumental in embracing this approach in creative areas by securing accomplished filmmakers and the teams behind them. 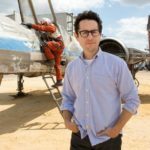 For Star Wars: Episode VII, Kennedy recalls telling the studio “You’re going to have to trust me, but I need the following people or you will not have a movie” even working to persuade an initially reluctant J.J. Abrams to direct. Star Wars: The Force Awakens was a triumph and a re-invigoration for those fans in post-prequel malaise. 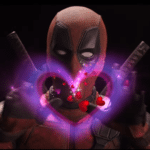 Not only did it rip apart the box office with $2.068 billion in box office receipts but it whipped up fans as well; registering a 92% rating at Rotten Tomatoes. From his prequels and re-edits Lucas tired of fan complaints, lamenting “why would I make any more when everybody yells at you all the time and says what a terrible person you are” so Disney successfully working under this pressure and anticipation and getting these results can only be admired. You only have to view the trailer reaction videos (my personal favourite is Roderick Vonhogan) to get a sense of how revitalised the fans were. Director J.J. Abrams was able to effectively mix the original characters and hail new ones, pleasing both older fans whilst enthralling a new generation. Importantly for Episode VII there is more female representation, including the lead character. Whilst strong women certainly inhabit the Star Wars galaxy, Force Awakens is a welcome step to pushing them to the central focus of the film. Despite this success, it wasn’t all plain sailing. Justified criticism came from the reliance on nostalgia rather than embracing Lucas’ treatments for the saga. Some saw Force Awakens as more of a remake, accusing Disney of placating fans by repeating the formula of the original film. The most surprising critique came from George Lucas himself demeaning their approach as doing “a retro movie”. J.J. Abrams made it clear this was intentional, rationalising that “we go backwards, in some ways, to go forwards in the important ways”. Controversy also surrounded the treatment of the ‘extended universe’ which represents years of books, comics, and computer games all built around the original trilogy. These have now been dropped or altered to fit the new narrative. Star Wars offered Disney a “virtually limitless universe of characters and stories to drive continued feature film releases and franchise growth”. Similar to another acquisition Marvel Studios, which boasts a universe of interconnected stories. To build a wider tapestry of narrative but stay faithful to the originals, Kennedy created a story group described as “a kind of institutional knowledge incubator”. Kiri Hart at the centre of the group, manages these “narratives travelling across different platforms.” meaning that films, games, books and comics all fit into a consistent story. This culminated in the ‘Anthology’ series, films exploring different stories including a Han Solo spin off. Kennedy was initially reluctant saying “There’s so much happening in the world of franchises and sequels — really in the last 10 or 15 years that’s dominated what’s come out of the movie industry” but was persuaded by the Rogue One story proposal, “My first thought was, ‘Oh, my God, I’m opening the floodgates if I say yes”. This expansion allows us all to spend a longer time in the Star Wars galaxy but it does move away from the main Skywalker family story. There is a danger inherent of revealing too much. The original series always allowed ambiguity to exist as part of its appeal. When Han references abstracts like ‘the Kessel Run’ it forges a certain mysticism which is in danger of being lost if it’s defined in another film. Conversely, this shift does signify that Disney isn’t afraid to take a new and different approach. Rogue One: A Star Wars Story is a litmus paper of Disney’s wider ambitions. With Disney CEO Bob Iger seeing it as “an experiment, of sorts”. It’s the first movie that sits outside of the main story arc which might lead some more casual fans to question where it all fits together. It also won’t follow the same tone or pattern as the existing films “I think it’s going to be quite different and when you go see it you should expect the unexpected” says director of Rogue One, Gareth Edwards. Trailers indicate its tone is more war film than a space opera and according to reports it won’t even have an opening crawl. However, it clearly still relies on nostalgic aspects, with Darth Vader returning to the screen. Despite this, Disney is treading cautiously on this one. Rumours of tonal issues and subsequent reshoots were rife with Iger playing down expectations telling investors “we never felt it [Rogue One] would do the level that Force Awakens did”. However the reward outweighs the risk, it’s a bold statement from Disney of exploration and attempting to push the boundaries of what they can do. Kathleen Kennedy assured, “I think that’s the most important thing, to reassure fans that it’s the movie we intended to make.” Whether it’s a successful one or not will have to wait until its December release date. Lucas used the success of Star Wars gain autonomy against the studios after his first two features were re-edited at their request. This meant he was able to bring his unquestionable vision to subsequent films. After years of tight control by one auteur, there was a sense of tectonic shift when it was sold for high value to a multinational conglomerate. With an experienced President, they seemingly understand the importance of getting fan balance right. “Star Wars’ stories are not a dime a dozen…This is really hard to do and really hard to get right,” describes Kennedy. Given the weight of expectation, the emotion and nostalgia attached to the series The Force Awakens, is a pinnacle of Disney’s Star Wars and a sign of what the studio are capable of. It danced a line between nostalgia and new but Disney now are willing to embrace different ideas going forward. Gareth Edwards, expressed the general feeling that “we’re not held to anything and we can be a bit more free, more brave,” he continued. “they’re encouraging that.” The Signs are good with the hiring of talented filmmakers including Rian Johnson, Gareth Edwards, Phil Lord and Chris Miller to take these new stories forward. Of course, we won’t fully know whether they will be successful until December when Rogue One hits cinemas. Until then Disney have proved thus far to be good custodians. By the success of The Force Awakens alone in election terms, it would be a landslide. If they can retain that level of excitement, without over-saturation then they can continue to rule the galaxy.